Citrus Pleasures artisan soap has a heavenly paradise fragrance that's citrus forward, with some undertones of orange flower, grapefruit and soft florals. Wonderful handmade soap for both men and women. Buy two so you don't have to share. Citrus Pleasures is a handmade paradise artisan soap with a citrus forward fragrance. It has a fabulous blend that’s zesty and fresh with notes of exotic orange flower, tart grapefruit, fresh squeezed oranges and soft florals. Citrus Pleasures soap is a dark pink. This is a wonderful soap for both men and women. This is a good "his 'n hers" soap - get two and you won't have to share! My formula uses a balanced natural blend of virgin olive oil, coconut, palm kernel, castor and natural beeswax and is then aged for 4 to 6 weeks. This makes the soap mild and long lasting. 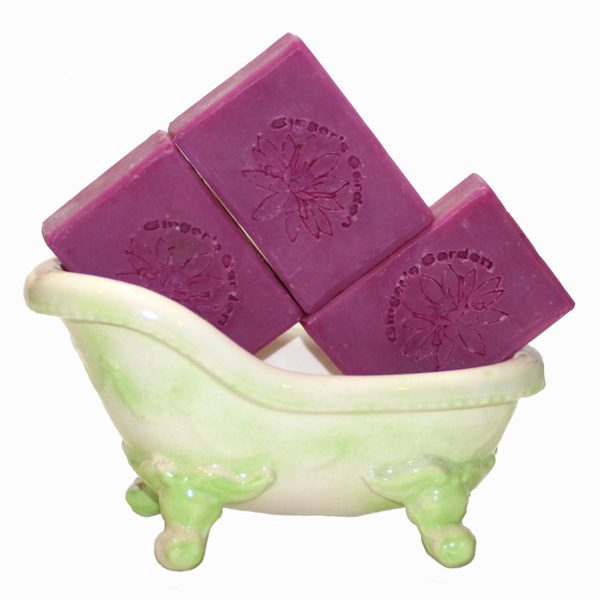 I have been making soaps since 1969 and this is my tried and true recipe that’s gentle and mild. Please use a soap dish that drains, so the handcrafted soap will last longer. Close your eyes and you can smell paradise with soft florals, fresh breezes and warm citrus sunshine. Let your stress be carried away in your shower or bath with Citrus Pleasures soap. Each soap is wrapped and comes with a label. Buy one or two bars for a mini vacation without leaving your home. Ingr: Olive oil, Coconut, Palm Kernel, Mango Butter, Castor oil, Soybean, Sodium Hydroxide, Beeswax, Sodium Lactate, Fragrance, Blend of Citrus Oils, Ylang Ylang, mica.